It’s him, and he’s referenced again in Acts 18:2, so I would say that he got the last word in over his ancestral naysayers, even if the references are not altogether positive. 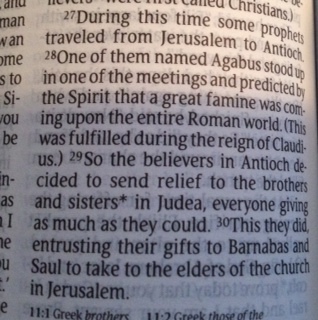 History is cool, and historical references in the Bible are even cooler! Next up are reviews of Virginia Woolf’s To the Lighthouse and Theodore Dreiser’s An American Tragedy, followed by Carson McCullers’ The Heart is a Lonely Hunter, which I just started this week. Petie – I agree, I love the one-year Bible – it makes it easy to see if I’ve gotten lazy when I don’t keep up with it. I could’ve used a one-year Ulysses!